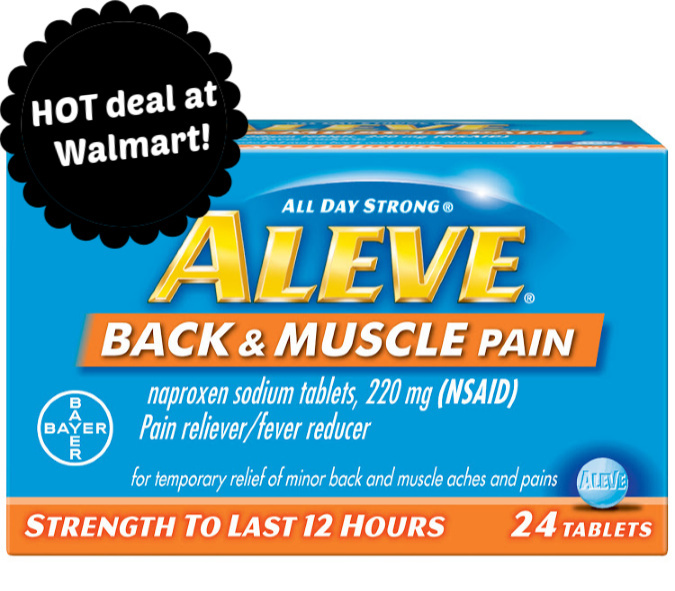 couponing at Walmart Walmart Aleve Back & Muscle Pain Under $1 at Walmart with high-value coupon! Aleve Back & Muscle Pain Under $1 at Walmart with high-value coupon! Walmart shoppers can grab this pain reliever for under a buck after using the high-value coupon!